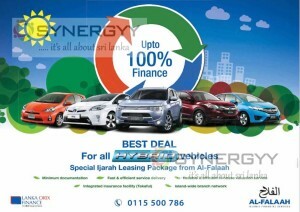 Lanka Orix Finance announces a special leasing on Islamic banking leasing options for Brand New Hybrid Electronic Car. 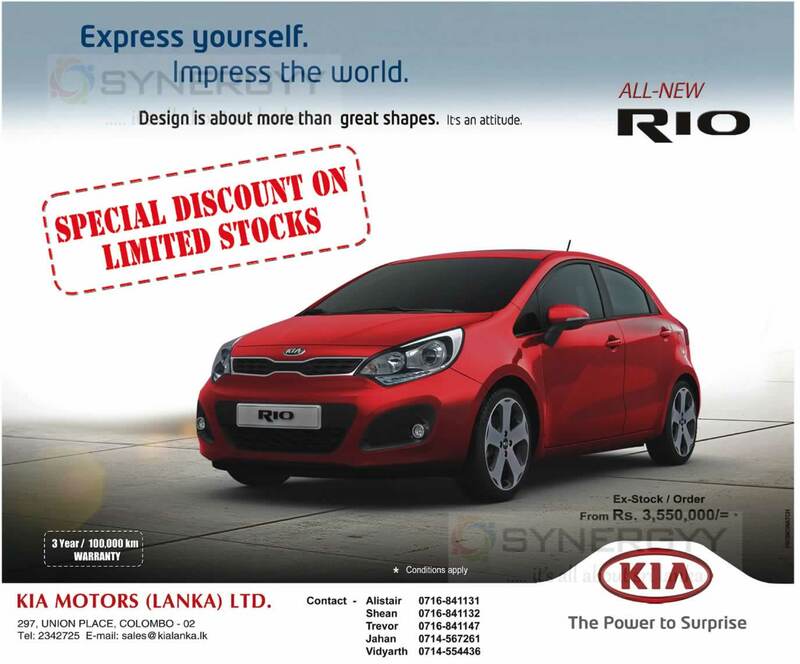 The offer is valid for all Hybrid cars available in Sri Lanka from the range of Cars and SUVs and crossover. 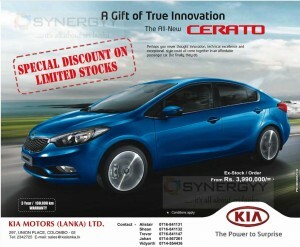 Kia Motors (Lanka) Ltd announces its attractive prices for Kia Cerato as Rs. 3,990,000/= upwards for its exciting and new order. 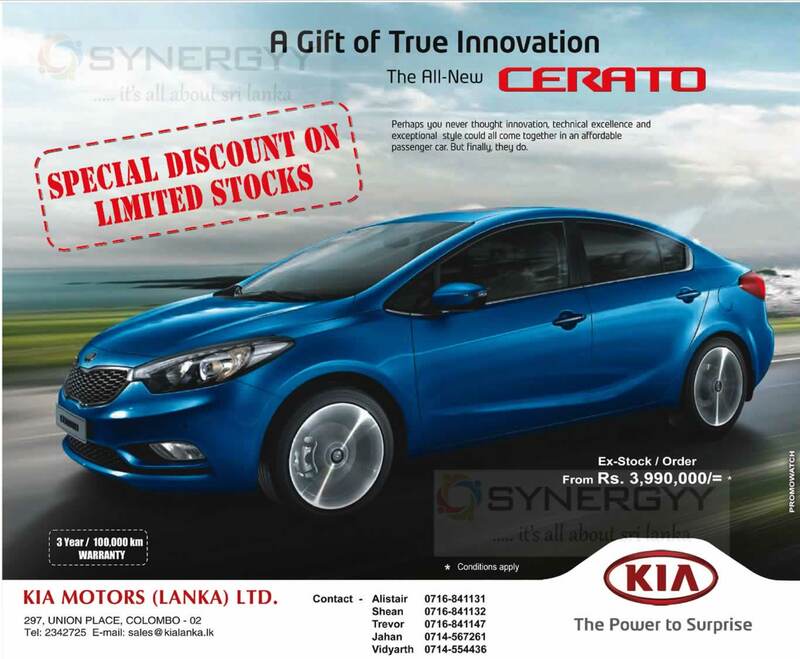 Ride your Kia Cerato at an attractive price of Non permit holders, and there are many options for you to obtain these Kia cars with many leasing companies around the island. 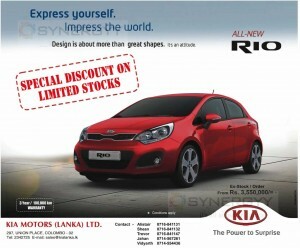 Kia Motors (Lanka) Ltd announces its attractive prices for Kia Rio as Rs. 3,550,000/= upwards for its exciting and new order. 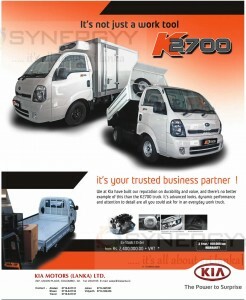 Ride your Kia Rio at an attractive price of Non permit holders, and there are many options for you to obtain this Kia Rio with many leasing companies around the island. 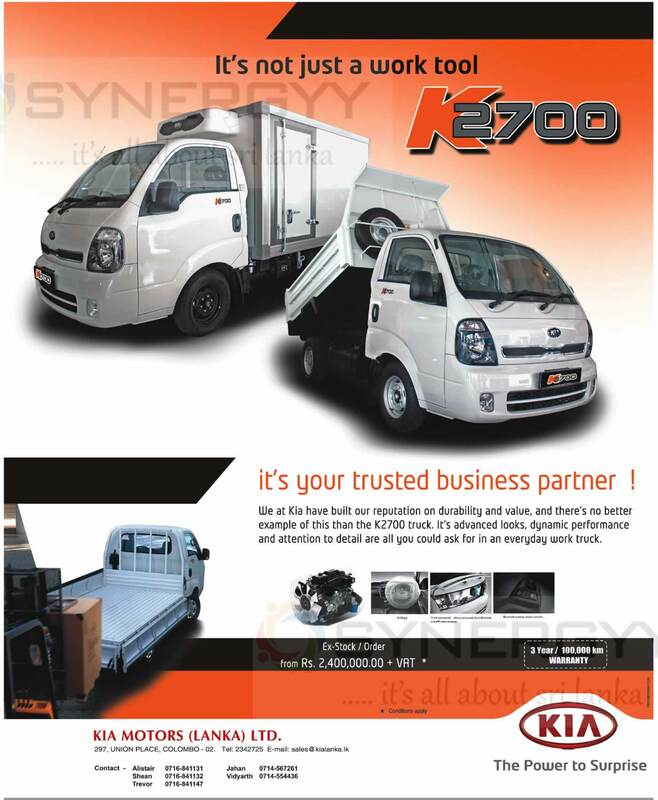 The Kia Motors (Lanka) Ltd introduce a Kia K2700 small truck with advanced looks, dynamic performance and attention to detail are all you to carry out their day today activities. 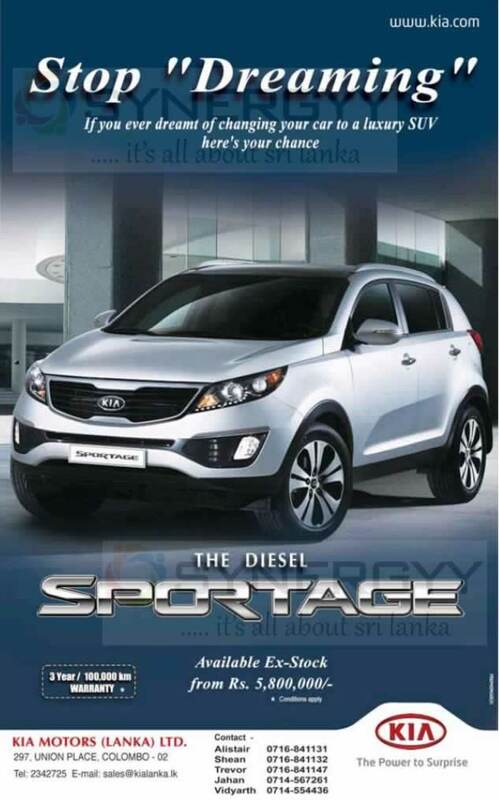 The KIA Motors Lanka (Pvt) Ltd announces the special prices for KIA Diesel Sportage for Rs. 5,800,000.00 in Sri Lanka. 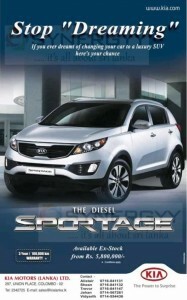 The KIA Sportage comes with 3 Years or 100,000 Km Warranty.